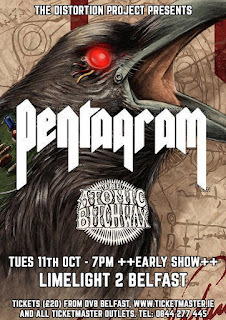 PROBABLY one of the true founders of doom metal, Pentagram, are confirmed to play a Belfast date on Tuesday, 11th October in Limelight2. Bobby Liebling's vision of doom started tentatively way back in 1971...and is still going today. 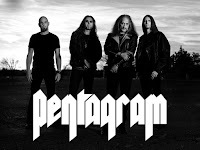 Eight full length albums and more members past and present than Deep Purple, Pentagram have had a turbulent history of breaking up and reforming, but that doesn't mean that they remain both influential, but relevant in 2016. As the proto-metal of the likes of Iron Butterfly merged into heavy metal with Black Sabbath's first two albums Pentagram took the template and added an American twist from the town of Alexandria, Virginia and spread it across the US and further afield. 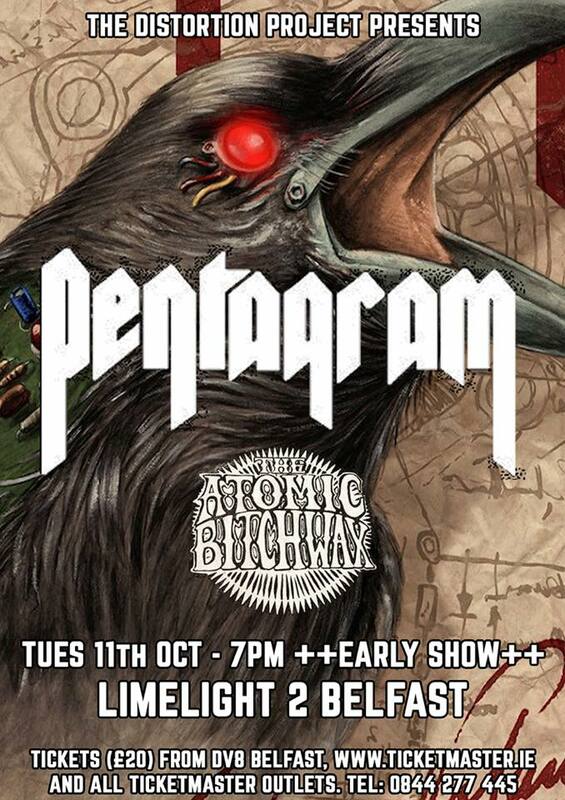 Tickets go on sale on Thursday, 26th May priced £20.